Click the Projects Icon and Add New Project. You'll be prompted to enter a name for your project without any special characters. Keep in mind that you won't be able to change your project name (so choose wisely). This project can have any number of sub-projects (albums, blog collages, branding) from the same set of images and sub-projects can be renamed. Click the Projects Icon and Add New Project. You'll be prompted to enter a name for your project without any special characters. Keep in mind that you won't be able to change your project name (so choose wisely). This project can have any number of sub-projects (galleries, albums, blog collages, branding) from the same set of images and sub-projects can be renamed. There are a couple ways to import images. You can click where it says "Drag Images Here" to import via browse for your images (as shown in the steps above). Or you could simply select and drag your images folder to the "Drag Images Here" area. 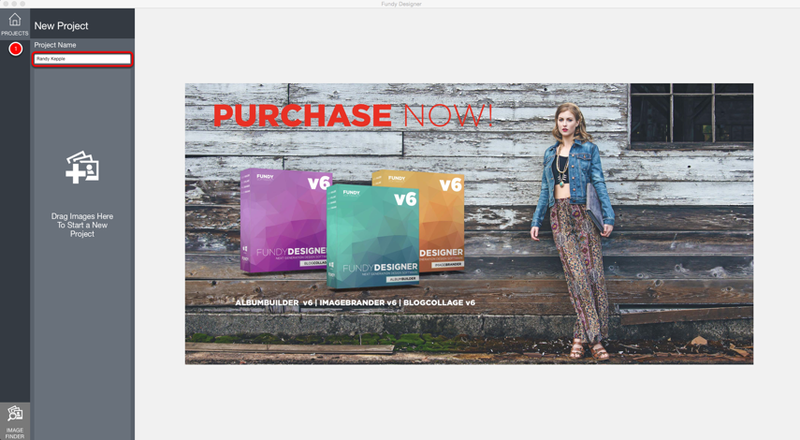 You can also drag-and-drop images from Photo Mechanic and Adobe Bridge. Note: You can save yourself a lot of future frustration if all of your project files are located in the same folder. Try to avoid folders with sub-folders. Also, make sure you avoid special characters in your file names and file path. Stick with numbers and letters! 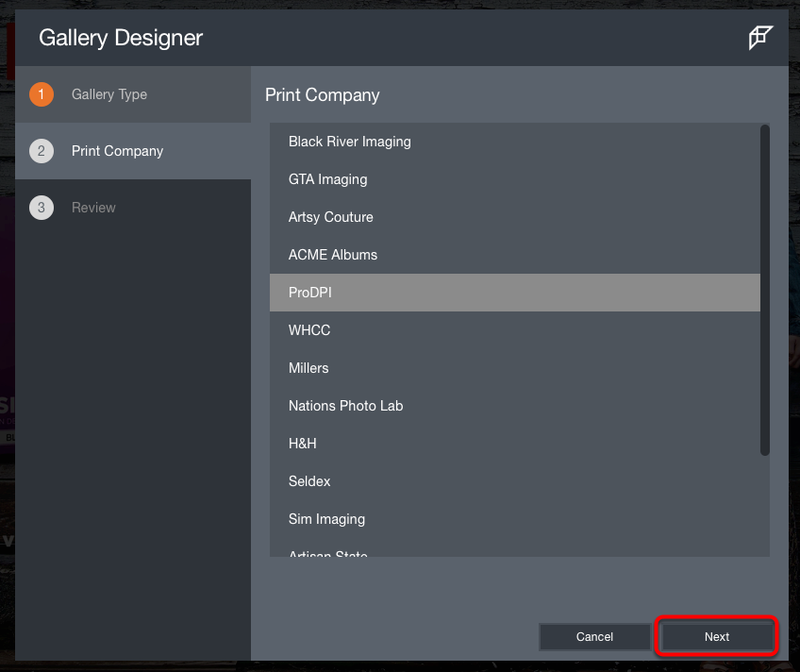 Select the newly created project and then select the project module (Gallery Designer, Album Builder, Image Brander, Blog Collage) you'd like to use. 1. Fundy Direct: Design and export your album directly from certain labs. A full list of current labs is available on our website. 2. Design and Export: Choose between our labs. The lab specifications are provided to us by the labs, so you save time on entering your specs! Once you have made your selection, click Next. Scroll and select your preferred album company, then click Next. 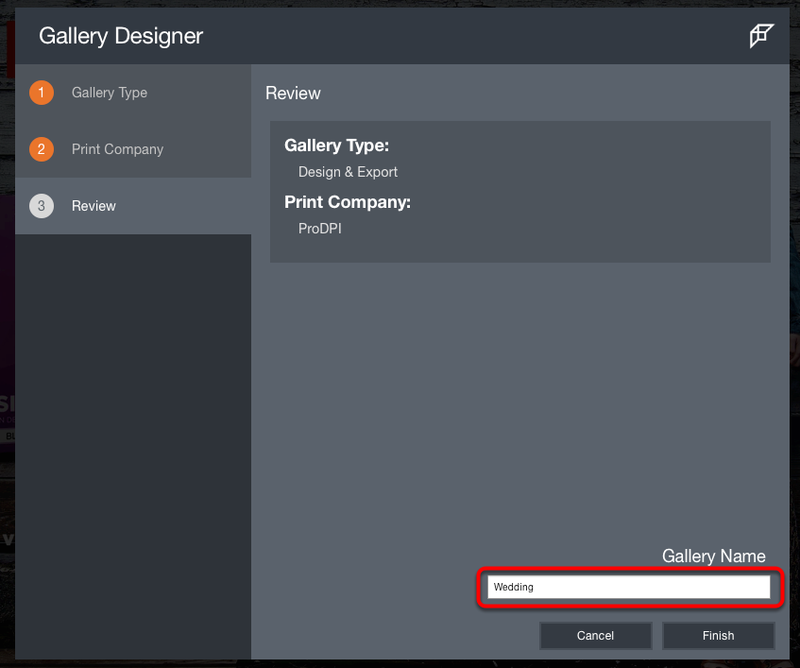 In the final step, you will review your gallery selections and name your gallery. You can go back to any previous step simply by clicking on that step. 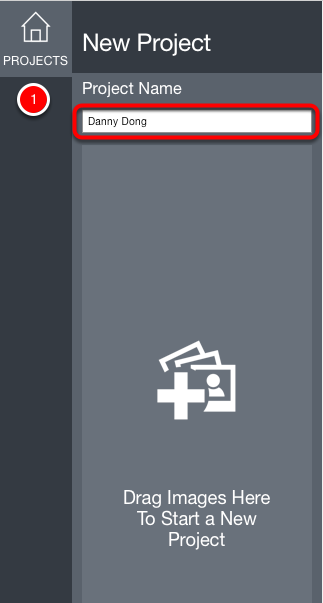 If your gallery looks correct, click Finish Changes. 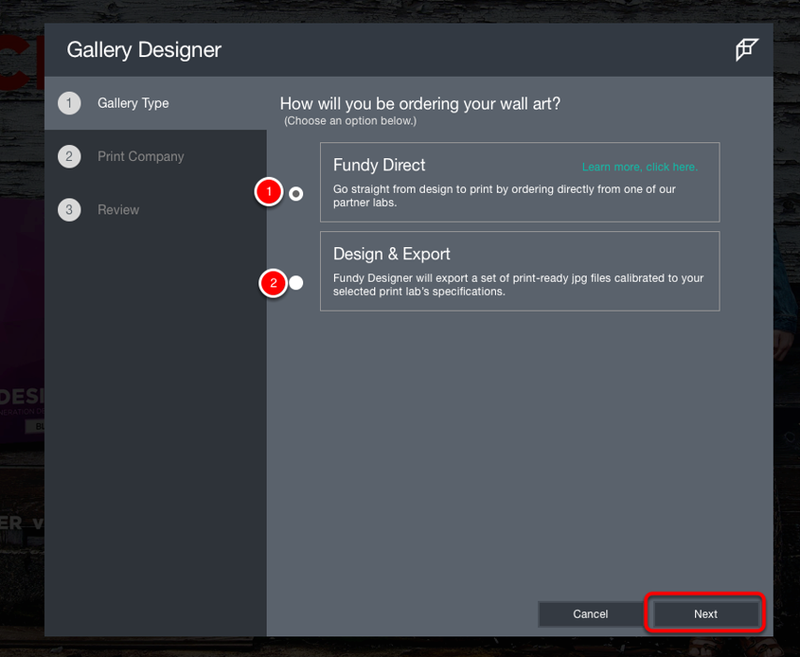 Your gallery is now set up and you are ready to start designing!